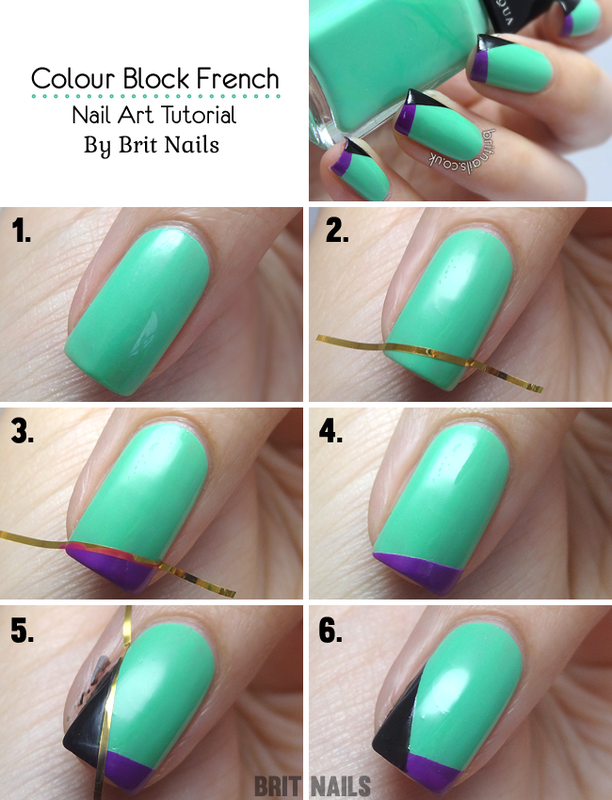 This is a tutorial for my colour block french manicure, as seen in Nail It! Magazine! Here's what you'll need. I've listed places to buy at the bottom of the post. 1. Start by painting on your base colour (I've used Illamasqua Nomad) then apply a coat of your chosen quick-dry top coat, this will prevent the tape from damaging your base colour. 2. Take a piece of striping tape. Using your tweezers, place the piece in the position shown across your nail and smooth down, making sure the tape is flat on your nail . 3. Using your second colour (I've used Illamasqua Stance) paint carefully over your taped off section, making sure not to go over the tape. 4. Using your tweezers, remove the tape immediately and carefully. Apply another coat of quick drying top coat. 5. Take another piece of tape and tape off the next section. Paint your third colour, again making sure not to go over the tape (I've used Illamasqua Scorn) Don't worry about getting polish on your skin, you can clean that up at the end. 6. Remove the tape immediately. 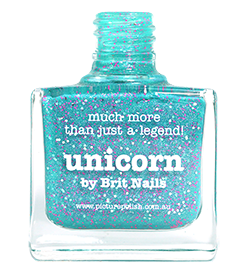 Clean up any polish you may have got on your skin, finish with your choice of top coat and you're done! - Pre-cut your pieces of striping tape so you aren't fiddling about with wet nails! - If you prefer, you can use scotch tape/sellotape instead of striping tape. I just find it easier with striping tape. Tweezers can be found on eBay or Amazon, just search for "Craft Tweezers". Striping tape is available from Born Pretty Store, don't forget to use code LGL91 for 10% off! Wow! This looks stunning! Love these colors together. Beautiful mani! I'm falling for that amazy crazy mint color! Sooo bright and pretty! Lovely tutorial, I know you told me to judge you harshly, but it's pretty rad. I really like the tutorial style - it's really clear and simple and uncluttered. And the nails are lovely! Thank you, that's just what I was going for! The manicure is so simple but the colors you have chosen really make the difference. This looks great! The colours you used really contrast which i love!